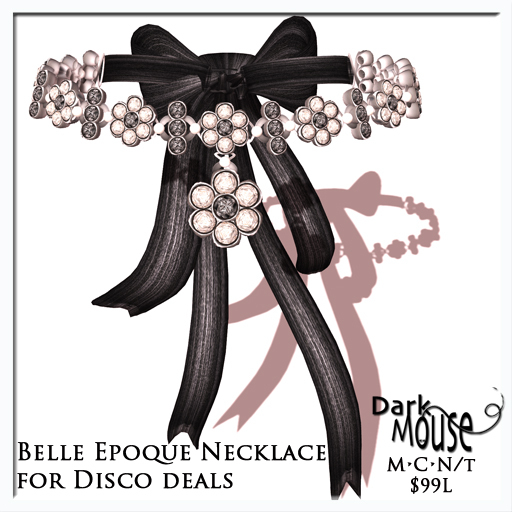 Dark Mouse is downright moody. That’s right, I’m a part of Moody Mondays this week! And, I have a new hair style for you, and lovely daisy necklace for you. The hair is $55L per color pack for Moody Mondays, the daisy is just a bit of fun and matches well with a gorgeous new outfit from Miao, which you can see below also! Awesome stuff! 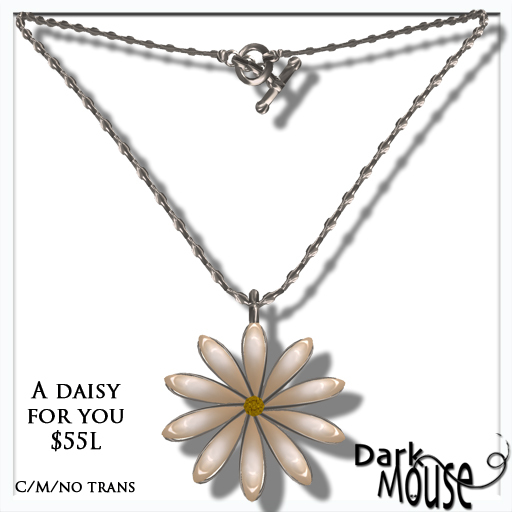 The daisy necklace is also $55L. Enjoy, and happy shopping to you! Here’s a teleport to the store! 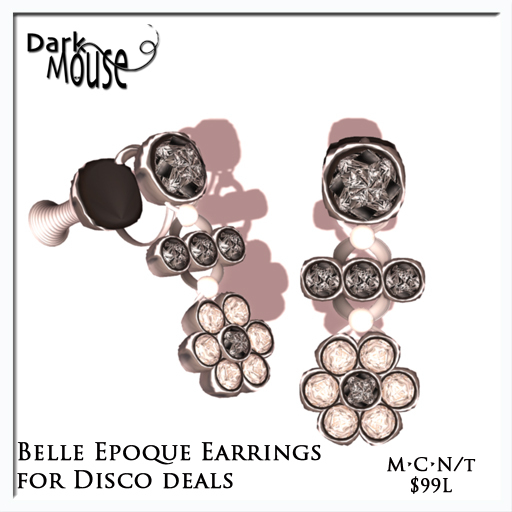 Dark Mouse Spring & Summer New Releases! Hello my friends – I’ve decided to do a bunch of new releases for spring and summer – I have some lovely new stuff! I have the Anzac set, the Aisling set and the Steeplechase pearls set for you, which you may have seen bits and pieces of at various events, but now the full sets are ready to go. Most of my sets come in Silver, Gold and Copper. The two sets that don’t come in other metals are my new Spring Fling set and the Cream Pearls Flower set. Each one of these sets, as always, start out as sort of an experiment in trying to achieve a feeling or look. The Anzac set I originally made for an event, but I’ve since changed the pearl and metal textures, and I think, got a new look out of it. The Aisling set was an experiment in swirly stuff! I don’t know why I wanted a green stone, but it felt right. The Steeplechase Pearls, I was playing to light effects / sculpties, some day it will be perfect, but for now I like the simple elegance of this set. The two sets I like the most are probably the dreamiest and sort of special for me. The Spring Fling set is just that – I wanted a scarf around the neck, layered look. The leafs are cause I love leafs. Finally the Cream Pearls Flower set is me playing around with beige, white and black, and going for a crisp clean look while still being ‘organic.’ Anyhow, I hope that you like it all! Please stop by the shop and take a look! Here’s a teleport link directly to the store!